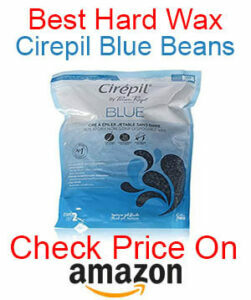 Waxing with hard wax beads is such an easy and effective way of hair removal. But as easy as it is, it can go horribly wrong if you don’t follow some safety guidelines and know which skin conditions counteract waxing altogether. Of course, using a warmer to heat the wax and avoid some of the common waxing mistakes will help tremendously! Choosing the right wax is very important too! These are all pretty second nature to someone who has been working in the beauty industry, but if you are new to waxing, or are waxing at home, it’s a good idea to take heed of the paragraphs below so that you don’t hurt yourself. Used wax must be thrown away. You may be tempted to re-melt the wax, strain it and then use it again but this can lead to infections like folliculitis. Do not exfoliate your skin on the day that you are going to wax. This will make your skin quite a bit more sensitive (even though it won’t feel like it), making it easier to burn or even lift the skin off. Do not wax any areas that are bruised or cut. These areas will become more sensitive due to the heat from the wax. Antibiotics make the skin much more prone to bruising and lifting. The best idea is to do a patch test 24 hours before waxing the entire area. After being waxed, make sure to steer clear of sunbathing, steam rooms or sweating excessively. In addition to that, make sure not to exfoliate the waxed area for 24 hours as the skin will be sensitive after waxing. Now that you know the basic safety guidelines, let’s chat about what conditions are not recommended when it comes to waxing. If you aren’t sure what these are, they are simply conditions which prohibit treatments being performed as they can cause even more harm. 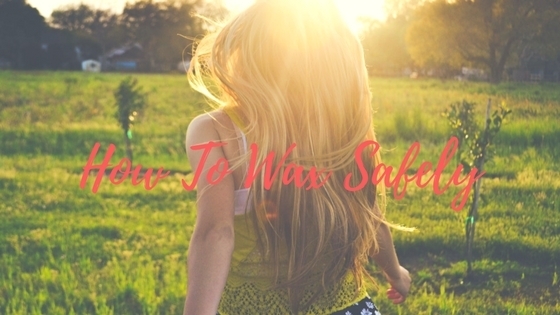 Don’t let these safety precautions and conditions scare you, waxing with hard wax beads is still a very simple process, these are just a few guidelines to make sure that you get the best waxing beans possible without hurting yourself or breaking or bruising any skin.